Until 2014, the best way to use miles to book a round-the-world (RTW) trip was to save a lot of one mileage currency and book a special RTW award with those miles. If you’ve saved up miles for years to book yourself such a once-in-a-lifetime trip, you’re probably dismayed that the best two RTW awards from American Airlines and Delta were eliminated in 2014. You can still book RTW trips in 2017, but now the best way is as a series of one way awards across many different programs to take advantage of sweet spots on each airline’s award chart. In this post, I’ll list some of the cheapest awards, or sweet spots, from each region. When planning your RTW trip in 2017 or beyond, refer to these lists to piece together your trip. For instance, if you know you want to visit South America, Africa, Southeast Asia, and Australia, look under each of those headings to find cheap awards to the next region. But before getting to those lists, let’s consider other types of tickets that should be part of your RTW award. All of the awards on the lists in the next section are from programs with region-based miles. These miles usually offer the best value for international awards. But before using region-based miles consider using Avios or cash for appropriate flights on your RTW trip. Use cash if the possible awards are not getting you a good return on your miles (1.2 to 1.8+ cents each, depending on the miles.) This will be very likely when a low cost carrier flies the route you want to fly, especially within Europe and Southeast Asia or to Iceland. When cash flights are the best option, you don’t need to actually use cash to book them. 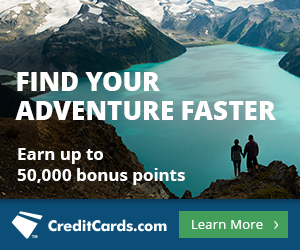 You can book them with points that can be used like cash toward any flight like ThankYou Points or Arrival miles from the Barclaycard Arrival Plus, or you can use the $300 per year travel statement credit on the Chase Sapphire Reserve. Some of the awards below are listed because they cost very few miles. Some are listed because they present amazing value in a premium cabin. Links take you to longer articles on that award. Any prices listed are one way unless otherwise noted. If no cabin is listed, the award is in economy. If no fuel surcharges are mentioned, the award has none. Remember to check Avios redemptions and cash tickets before booking any awards on these lists. in Business Class with 55,000 Alaska Airlines Miles on Fiji Airways. For zero extra miles, stop as long as you’d like in Fiji and continue to Australia or New Zealand in Fiji Airways Business Class. in Business Class with 55,000 Alaska Airlines Miles on Fiji Airways. Stop as long as you’d like in Fiji for free. When leaving Europe, don’t fly your longhaul flight out of London. You’ll pay $200 to $300 in taxes for starting a premium cabin itinerary in the United Kingdom. Hop a low cost carrier flight from London to somewhere on the continent and fly your longhaul award to the next region from there. Note that all these awards have fuel surcharges from Europe to South America, but awards departing Brazil cannot have fuel surcharges by law, so these are all better values leaving Brazil. Flights leaving Brazil cannot have fuel surcharges, so miles that otherwise collect fuel surcharges on most awards are especially well used from Brazil to Europe. See From Europe to South America. Note that traveling South America to Europe is better than Europe to South America because flights leaving Brazil cannot have fuel surcharges. Please add your other favorite awards in the comments, and I may include them in this post. Bookmark this post for reference when you want to book a RTW trip. What about South America to Australia? 50k AA miles in biz on Quantas from Santiago, Chile. Why am I not seeing any MileSAAver awards from DFW-LIM or MIA-LIM next year? Maybe there is none. Pretty terrible availability to BsAs more than a month out these days on AA flights. You can check ba.com for LAN space to Lima, but they are pretty awful too about releasing space right now. Do you know anything about a Alaska Airlines flight to Hong Kong via Johannesburg or vice versa? Yes, 70k miles in First Class (though HKG-JNB only has Business). Free stopover allowed in Hong Kong. Search ba.com and call Alaska to book. I should add that to this page. What about from U.S to Middle East/India/Maldives? I don’t see it in the “From United States” list above. Would appreciate if you plan to make a post specifically for this route as it’s growing popular now. There is a good RTW award in 2015, this is Qantas 140/280/420K Classic One World award, I guess for your US based flyers it may not be easily accessible but if you happen to have QFF points it’s just brilliant, you get 5 stops/16 sectors/35K miles for 140K in economy, 280K in business and 420K in first. There are fuel surcharges though but it’s still a great value. Also, Scott, Virgin Australia business class space between Brisbane/Sydney and LAX is all gone, it’s got to do with VA reconfiguring their long haul fleet cabin installing the new brilliant business class seat. It may come back but at the moment there is none. There are fuel surcharges on every segment of that Qantas RTW award. Sounds terrible to me. And 280k miles in Business Class? You could do a LOT better than that with awards from this list. Those who have Alaska miles will want to consider using them to fly Emirates. What about South America to ASIA? What do you recommend? Been hitting US, Europe and the Caribbean for a while now. What are some good destinations for South America and Asia for first timers? Travel style is: mother daughter (40/20 yr old), no hostels but don’t need 5 star joints (private bathroom and A/C), love history and raw physical beauty of the land, don’t mind walking lots and lots but not interested in climbing mountains. Enjoy food and wine but rarely spend exhorbitant amounts of time or money on either. Tend to move through cities quickly. Ideas? I just booked Seoul-Cape Town for only 34k Krisflyer miles (economy, one-way) and Nairobi-Boston (with a 12 hour layover in Zurich) for 40k United miles (economy, one-way). What’s the best use of miles to from South Africa to Asia? CX or SQ or something else. Almost certainly not Cathay miles of Singapore miles because of fuel surcharges. Check the United, AA, and Delta charts. Hi Scott, found CP business seats EWR-HKG, on BA i need to connect HKG to CEB on same day.. is that going to be more miles then? Not with AA or Alaska miles. What are the best miles to use from Kona, Hawaii (KOA) to Siem Reep (REP) in Business Class? I wanna kiss a giraffe too! Could you add some NAmerica-N/South Africa options? Aeroplan business North America to Europe is 55k miles as of 12/15/15. Note your post indicates 45k. Great article! Hey Scott whats the best way to get from South East asia to Europe? Also, anything good with one world you recommend? thanks! AA miles in Malaysia Airlines First Class is a decent deal. Thanks to your blog and ebook, I have been able to book 2 out of 3 flight components of what I think would qualify as a RTW trip in your view. My description of our bookings is based on our excitement factor and not in the chronological order of our trip. My husband and I were able to book first class return flights from MEL to ABU (777) and ABU to JFK (A380) in latter part of Jan. 2017 with EY, with an add on AA first class flight from JFK to LAX for 60K and 90K AA miles, respectively, per person. We have enough of a layover in ABU so that if space opens up on the later A380 flight from MEL, we can switch to that. 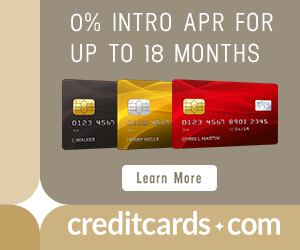 We were able to do large “top offs” of our AA accounts by opening the Citi AA card with 50K bonus and some SPG point transfers. To book ABU to JFK on the A380, I checked award availability on EY’S website on a virtually daily basis for several months–waiting for flights in latter part of Jan. to open up. I even got up several times in the middle of the night to try to figure out what time a new day of award travel on EY opened up (was unsuccessful). I focused on booking this leg first since availibility was more limited, in that there seems to a large number of Bus. class seats from MEL to ABU that can be booked with guest miles. Finally, while we were in London a few weeks ago (on a stopover back from CPT), I woke up at 5:00 a.m. London time (7:00 CPT time) and looked at EY award availability. I saw 2 seats on the A380 on a date that worked for us and I literally shook my husband awake so that he could call AA Australia (using skype on a kindle tablet) to book the EY flights while I searched on AA.com for bus class availibility once we got back to JFK, Thus, we were able to add the “free” leg at the end off the trip that you have posted about. We were able to book the MEL to ABU flight a few days ago. Again we had to call AA Australia because AA U.S.A. didn’t see the flights. There has been no A380 availability so maybe something will open up later on. Regardless, we are ecstatic about being able to book these flights, all due to your advice on your blog and ebook. So, Scott, thank you, Thank you, Thank You, and THANK YOU for all the detailed advice you provide on your blog and in your ebook (which I hope you will update this fall.) I only found your blog last summer, but I am pretty confident that I would not have been able to make these bookings without carefully following your advice and making liberal use of bookmarks on relevant or potentially relevant posts. No other travel blogger posts such detailed information on how to actually find and book award flights. Soon, I will be studying your Intra-New Zealand Australia flights post to see if our TYP will be useful to us while in Australia. Finally, please post if and when you decide to go to the Chicago conference/seminars this fall. We’ve never attended and only learned about them when you posted your slides from your presentation last year. We would definitely go this year if the event is in Oct. and if you will be there. Thanks for sharing your experience! That’s amazing how far you’ve come and the great awards you’ve been able to book so quickly after joining this hobby! I will definitely let you know when I know about my Chicago schedule. Safe travels! I just gave you kudos in the comments section of Washington Post’s Mar. 18 article on TPG. Hope you get some traffic from it. Husband got approved for the Sapphire Preferred card (despite the 5/24 rule) so we’ll be able to get the United miles we need for the SIN to MEL leg, assuming availability remains open. We have flexibility on dates. Just want to be in SYD for NYE! The time change means that I’ll actually be awake when the clock strikes midnight in SYD! Hey Scott, I will be in Thailand/Vietnam/Cambodia so what is the best way to get to Europe? Mainly Russia/Finland as I would like to start going country by country from north east to south west. I saw a cheap ticket to position from Bangkok to Delhi and fly there Star Alliance with United miles for 25k but not sure if there is anything better, or even worth it! Hey what about from middle east to more places? Intra Africa for 17.5 ua or others? I follow your blog & appreciate all of your travel savvy. What’s the best way to get to & from Africa? I have an August conference in EBB, but would like to visit ADD or CAI en route. I can fly from PDX or visit family in RSW en route. Does being on the east coast matter? Should I plan the family visit at a different time? Sounds good. I have UAL miles, so I’ll start there. Many thanks!